Expires in 3d . Last validated 3wk ago . Used 2 times. Bryce Gallatin I'm re-activating this expired deal. 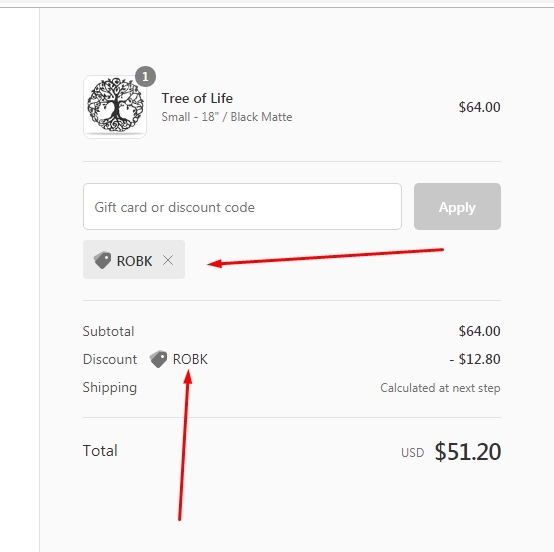 It works as described, Simply enter the code ROBK at the time of Checkout and enjoy the Discount. Some exclusions may apply. Pedro Diaz I am validating that this deal works as described. 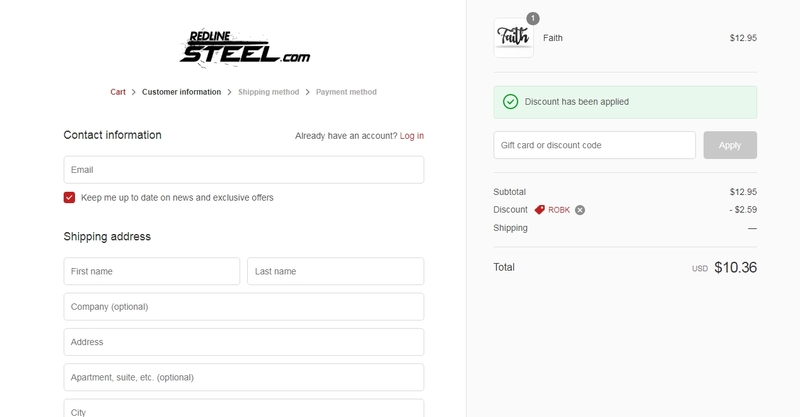 Enter code and get 15% Off Your Order at RedLine Steel (Site-Wide). This is a limited time offer. catalina perez I am validating that this deal works as described. Use the promotional code during the checkout process to receive the discount.